Everyone's favourite kitty is the star of her own official magazine! 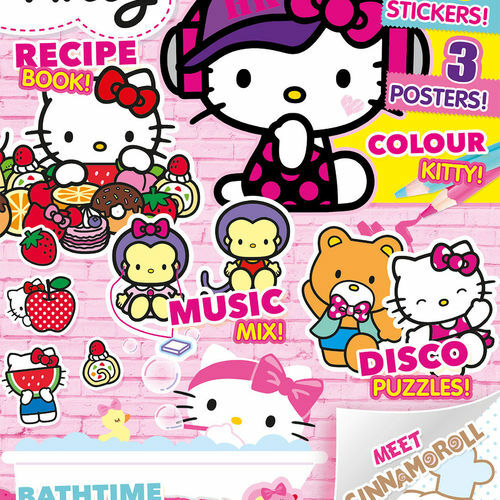 Enter a world of adventure and imagination with colourful pages filled with everything kawaii. 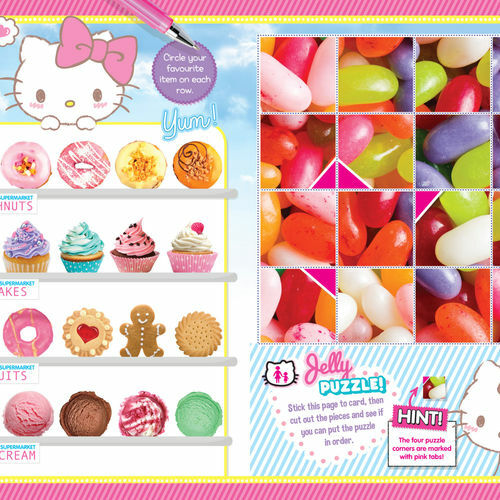 There are pretty puzzles, magical stories and cute crafts, as well as a selection of exclusive Hello Kitty gifts and adorable stickers! You can also meet some of Hello Kitty's friends, including My Melody, Cinnamoroll and Little Twin Stars. 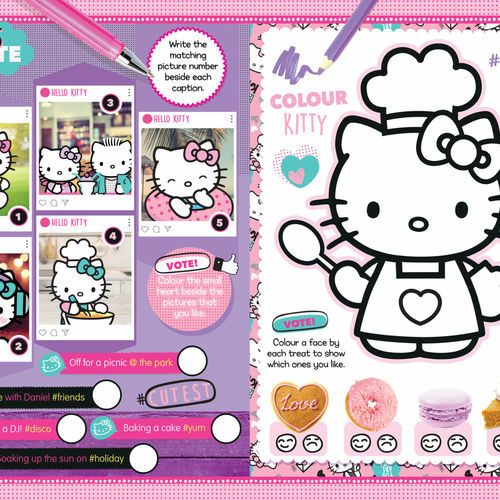 According to Kitty, you can never have too many friends, so come and join her for friendship, fun and happiness!